As a kid growing up in Philadelphia I used to write letters to celebrities and community leaders. I know some other kids were collecting baseball cards but this letter writing was my thing…what can I say, I was that kid. I received all sorts of autographed photos but the letters which I got back often contained some great pieces of advice. One letter I wrote was to Lee Sherman Dreyfus who was then the Governor of Wisconsin. I asked him questions about being a leader in his community and his political career. I asked him for an autograph photo for my collection and I asked, as I always did, if he had any advice to share. Governor Dreyfus wrote to me that the guiding piece of advice in his own life was something that his father had taught him. It was, he said, “The Ten Year Rule.” The Governor explained to me that he had been taught to always take a step back and ask if “what you are doing will still be important to you ten years later?” If it would be he said, then it was worth doing. Worth believing in. Worth fighting for. I’ve taken that idea to heart in my own life and have always cherished the fact that Governor Dreyfus shared it with me just as his father had shared it with him. You see, ten years is a major mile marker. If you are fighting with someone today about something and then take that ten year view, you might very well realize that the fight is not worth it. Of course, you could also be on the bubble when it comes to taking a stand and through that ten year prism you come to realize that you have no choice but to take action because the issue is of such magnitude that in ten years you hope that something would have been done. Ten years ago, Tom Duggan decided that the Valley needed a new voice. A print vehicle which would allow Valley residents with a wide range of views to share those opinions. With a fierce and fiery commitment to the First Amendment, Tom launched The Valley Patriot. I know that some dismissed his efforts out of hand, others scoffed and said it would never fly. Tom, however, was passionate about the paper and knew in his heart that it was necessary. 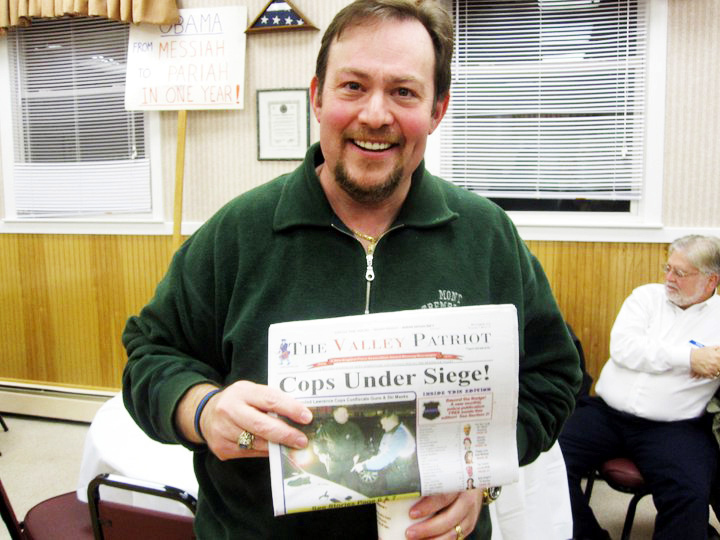 In the ten years since Tom launched The Valley Patriot we’ve seen the paper at the forefront of major breaking news along with a broad range of opinions. In addition to the printed paper, we hear Tom’s perspective on WCAP Radio and enjoy the content online and via social media platforms. Congratulations to everyone associated with The Valley Patriot on the tenth anniversary. Here’s to another great decade ahead!